In this guide, we'll show you how to use Programmable SMS to respond to incoming SMS messages in your Ruby web application. 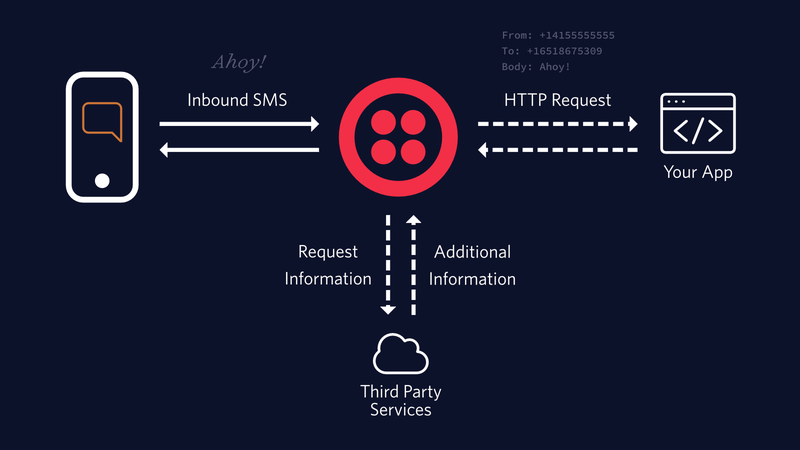 When someone sends a text message to your Twilio number, Twillio can call a webhook you create in Ruby from which you can send a reply back using TwiML. All this talk of webhooks and TwiML got you feeling anxious? Fear not. This guide will help you master the basics in no time. When someone sends a text message to your Twilio number, you can send a reply back using TwiML using your configured webhook. Here's how to generate TwiML using the helper library. When you use the helper library, you don't have to worry about generating the raw XML yourself. Of course, if you prefer to do that, then we won't stop you. You have the code, now you need a URL you can give to Twilio. Twilio can only access public servers on the Internet. That means you need to take your web application and publish it to a web or cloud hosting provider (of which there are many), you can host it on your own server, or you can use a service such as ngrok to expose your local development machine to the internet. We generally only recommend the latter for development and testing purposes and not for production deployments. 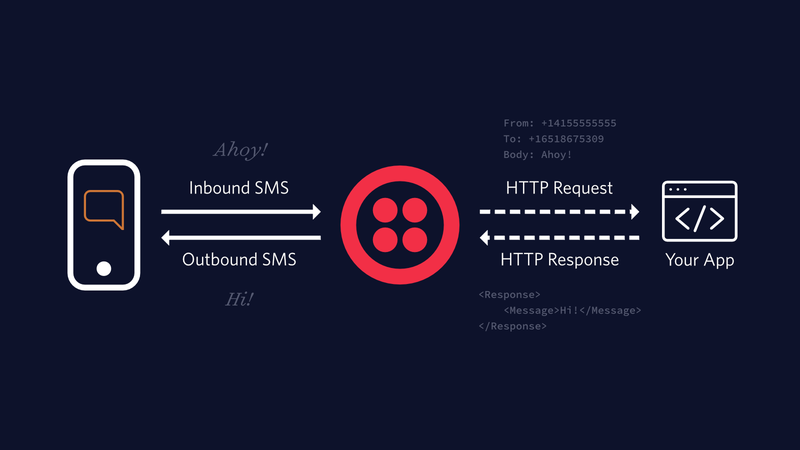 Now that you have a URL for your web application's TwiML reply generating routine, you can configure your Twilio phone number to call your webhook URL whenever a new SMS (or MMS) message comes in for you. Make sure you choose HTTP POST or HTTP GET to correspond to what your web application is expecting. Usually the default of POST will be fine. You'll notice in the console that there is also a spot to provide a Webhook URL for when the "PRIMARY HANDLER FAILS." Twilio will call this URL in the event that your primary handler returns an error or does not return a response within 15 seconds. Refer to our Availability and Reliability guide for more details on the fallback URL. Let's take a look at how we might respond to an incoming SMS with a different message depending on the incoming Body parameter from the incoming Twilio Request. Now, try sending your Twilio number a text that says "hi" or "bye", and you should get the corresponding response. Need more information about the phone number that sent the message? Need to analyze the message itself for sentiment or other data? Add-ons are available in the Add-ons Marketplace to accomplish these tasks and more. To learn how to enable Add-ons for your incoming SMS messages, refer to our Add-ons quickstart.